Down east flavors from a spice gift set inspired by (and sourced from) New England. 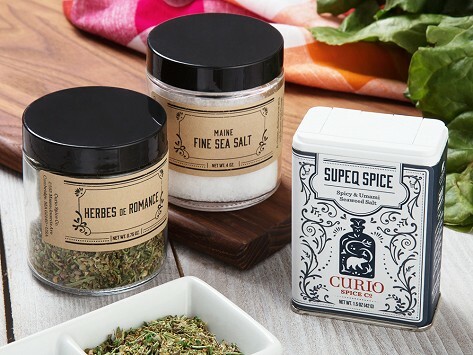 The set includes two of Curio Spice Co.’s signature spice blends along with Maine sea salt. It’s all directly sourced from farms and growers to ensure freshness and purity, and comes with recipe cards to help you get cooking.